This is a pretty neutral look for me. 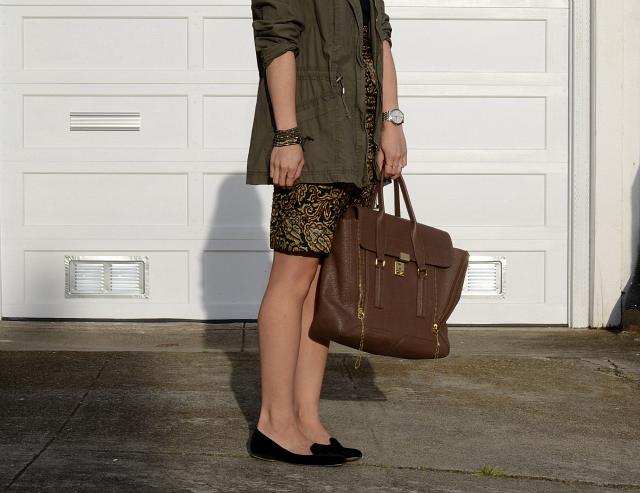 If it were not for the skirt, I'd probably blend in with the concrete ground! I never would have said this about myself but looking back through previous outfits, I'm usually more colorful than neutral. In my mind, I figured I was a good mix of both but that's what having a blog can do - bring attention to patterns and evidence about yourself! Here's to (almost Friday) Thursday! OMG I love that look and the color combo used!!!! cute cute. love the skirt and flats! You look adorable! This has to be one of my favorite outfits of yours. I love how well put together it is! Sometimes it's good to blend in once in a while. I love this skirt! You look very pretty in these blacks and olives! You look fabulous, I love that jacket on you!! haha nancy! it looks good! love that skirt! Yeah, I definitely am digging your skirt!!! I like the lipstick choice with the outfit too, you look great!! Thanks for the nice comment at look.feel.be today! That skirt is just so fantastic! Love the length and fit of it. 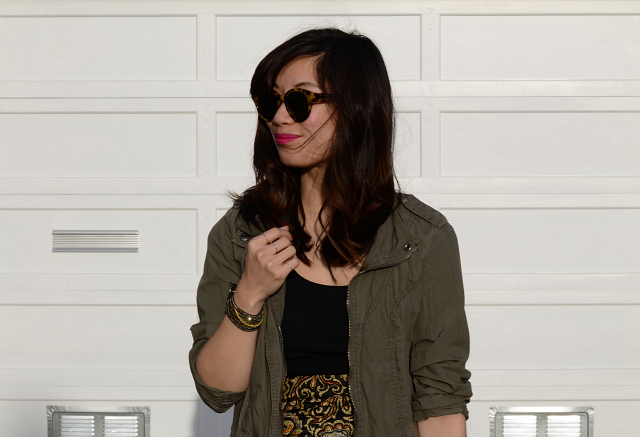 And of course, how you styled it <3 The olive green jacket is perfect! This skirt is adoralble! And I think neutral colors suit you as well as bright colors! That skirt is so perfect. This outfit looks fab on you! I love this look. I think the skirt adds just the right amount of pop to the outfit. LOVE those colors together, so neutral & calm! That outfit is way too pretty to blend into the background. I love how you can make pencil skirt that I would only wear to work and make it so laid back. I need to take some lessons from you so I get more mileage out of my clothes. in love w/ this neutral and classic look!! Love this! 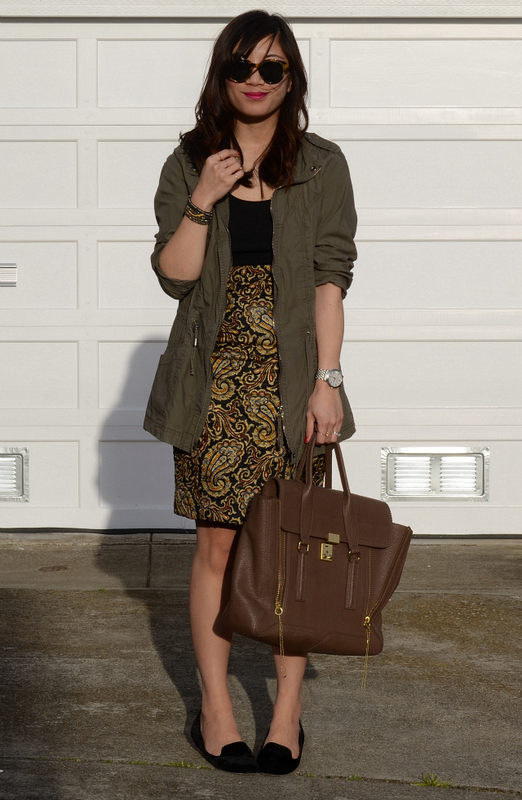 Loving the army green and that skirt is fabulous!